Call for pricing and availability: 907-456-4991. 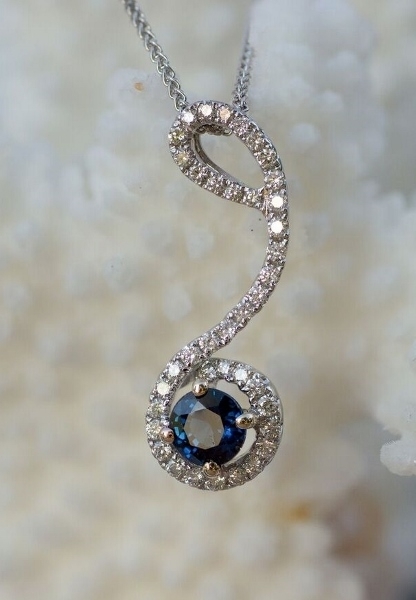 This gorgeous hand crafted pendant is set with a genuine sapphire and stunning diamonds in 18Kt white gold. This unique custom pendant should be worn with a solid gold chain. We would recommend a wheat chain, which is the strongest we have found in the industry. The chain displayed in the picture is a wheat chain which you can select from the drop down option above. If you have questions or would like to order a different size, please call us at 907-456-4991.